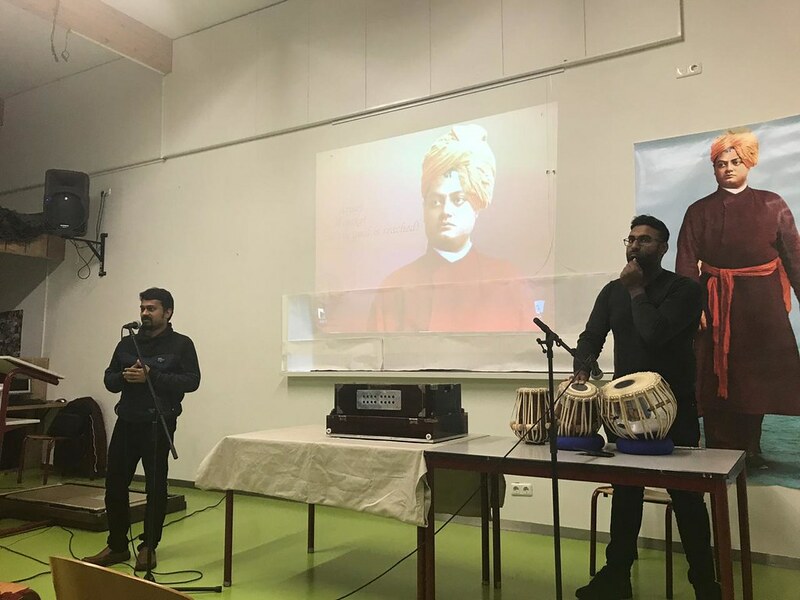 Ramakrishna Vedanta Society of Netherlands planned to celebrate the 125th year of Swami Vivekananda’s Chicago addresses in the four corners of the country and had two celebrations already: one in Amsterdam and the second in the Hague at the Indian Embassy. 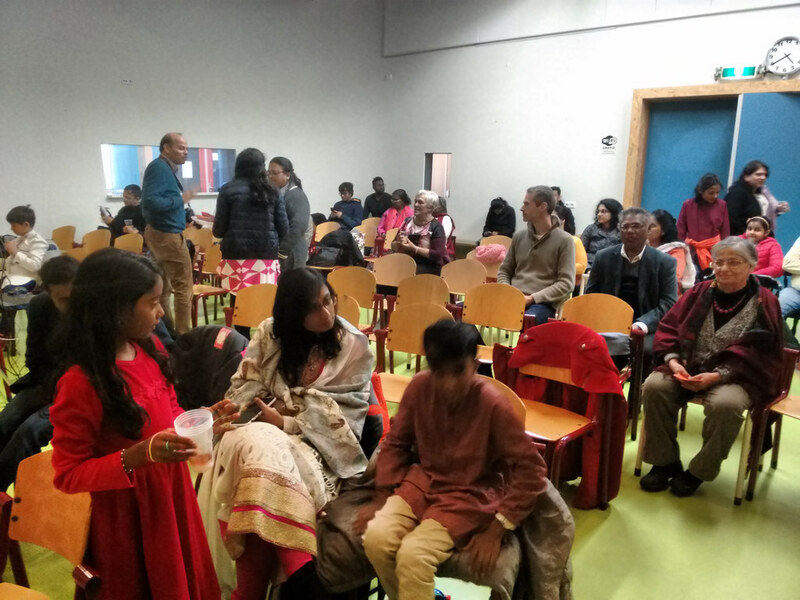 The third celebration was held on 18 November 2018 in the North of Holland, in the city called Groningen. 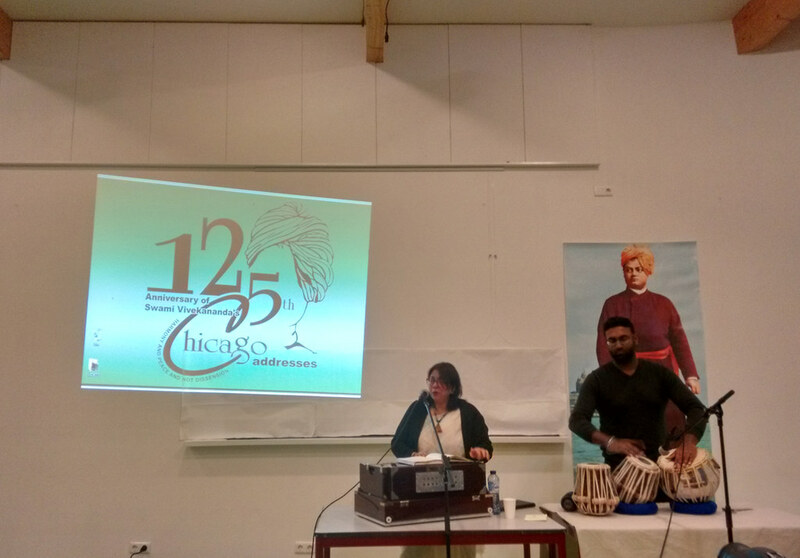 Professor Vishambhar Nath Pandey, Smt Sweta Singh, Professor Prashant Sharma and Sri Soerdjan Chander live in Groningen. They worked very hard to make the celebration a success. It was unimaginable that so many people came, even though such a function was being held for the first time in the North. 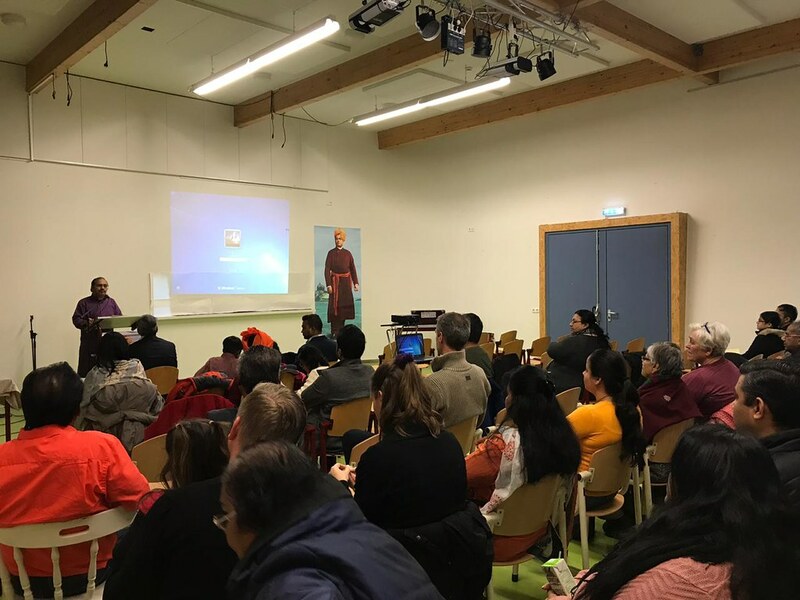 The event was divided into three sessions. 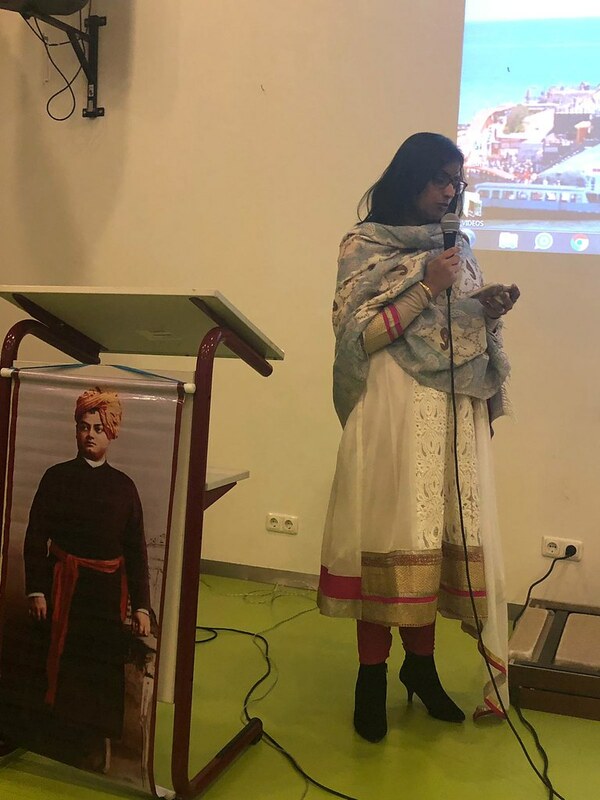 The first session was “The importance of Swami Vivekananda and the World Religions Parliament”. The second session was “The Parliament of Religions”. The final session was the cultural session. 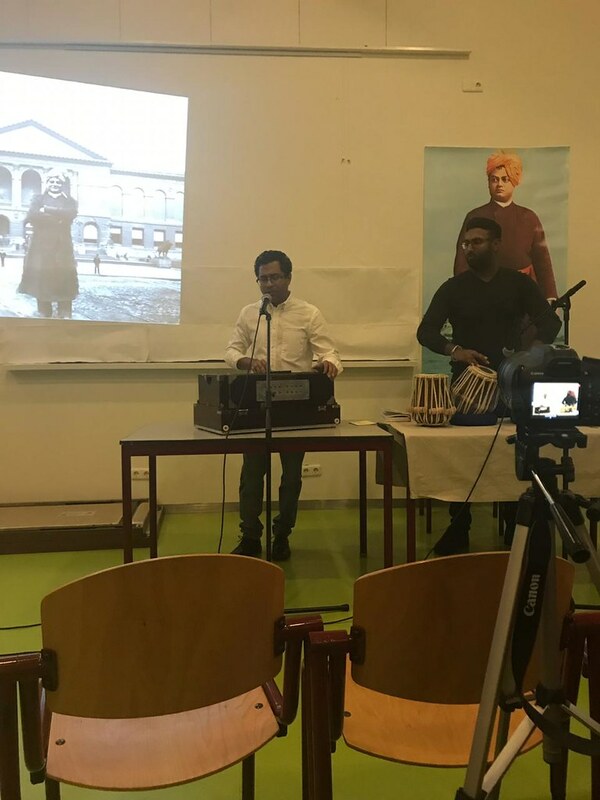 After the inaugural mantras and the Swami’s introductory words, Saikat Chatterjee, a doctorate student from Groningen University, sang “Mano chalo nija niketane” very beautifully. 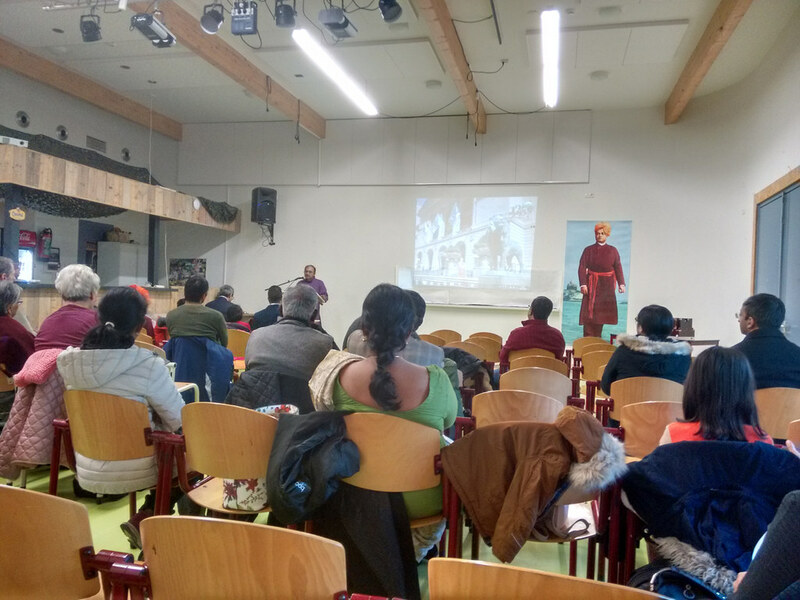 Next, a video about Swami Vivekananda and the Chicago Parliament was shown. 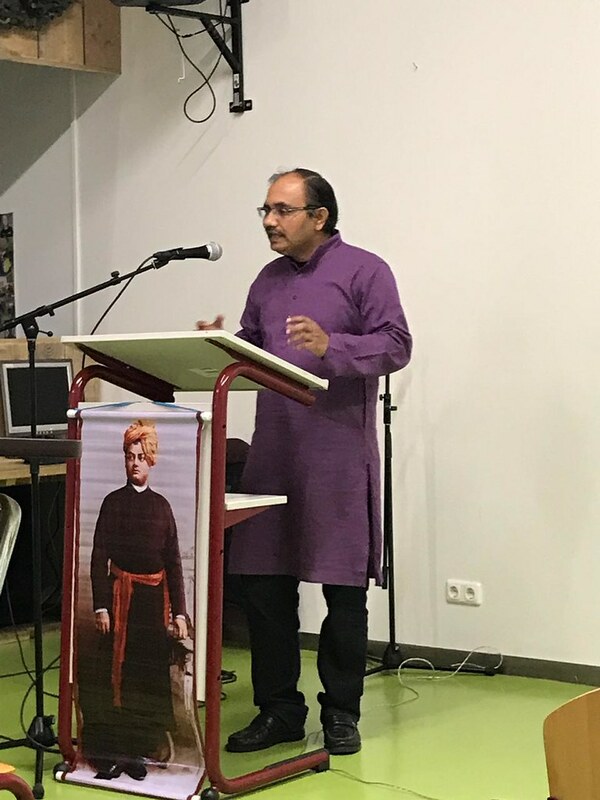 Professor Vishambhar Nath Pandey gave a brilliant and comprehensive view of Swami Vivekananda, his life and mission. In just ten minutes, he gave a complete picture. 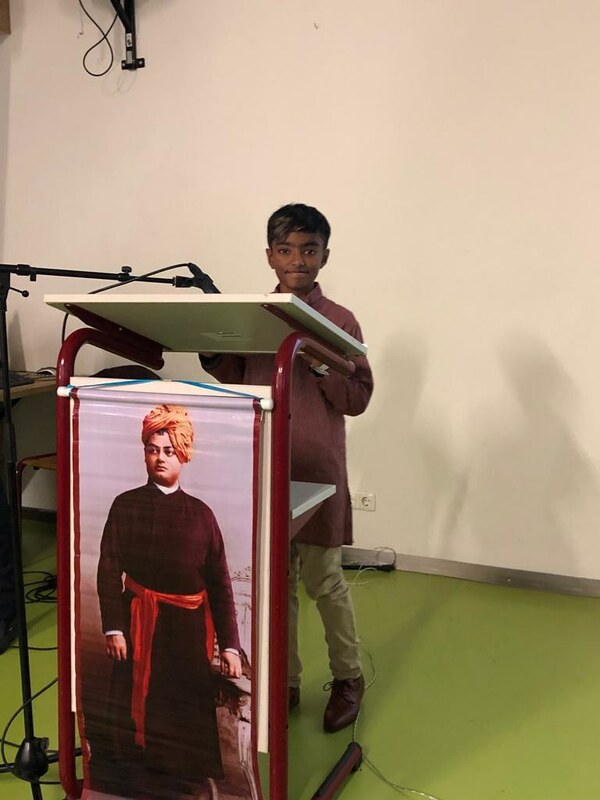 Sawar Ramharakh, a class five student, gave a wonderful PowerPoint presentation about World Thinkers on Swami Vivekananda. 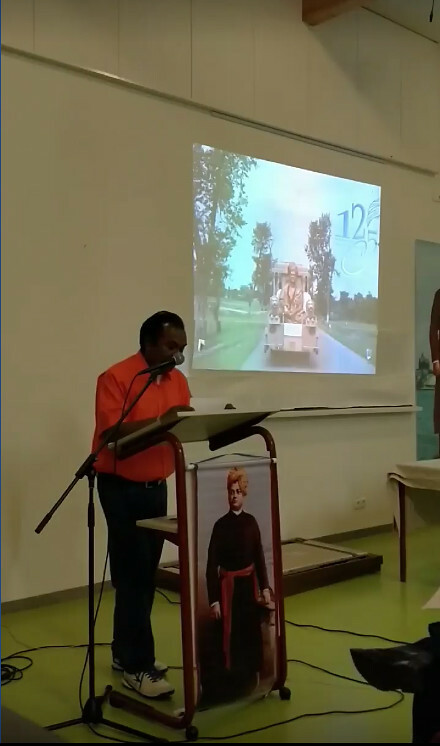 Next, a short video, showing the 125th year celebrations worldwide, was shown to the audience. The second session began with Kaustubh Bhat, a doctorate student, singing a beautiful song. 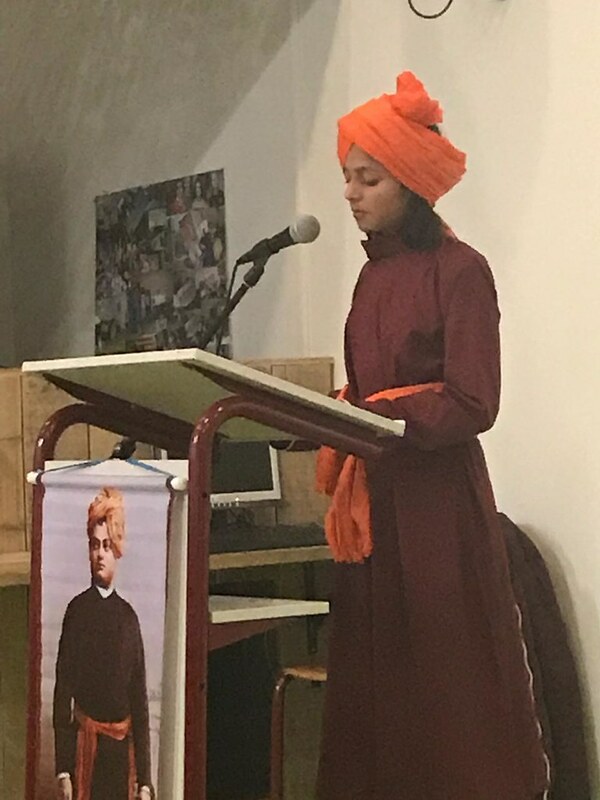 Next, a class five student from Groningen School, Kumari Aneesha Pandey, dressed in robes similar to those of Swami Vivekananda, delivered his first address to the Parliament in Chicago excellently. The dress came all the way from Karnataka for this event. 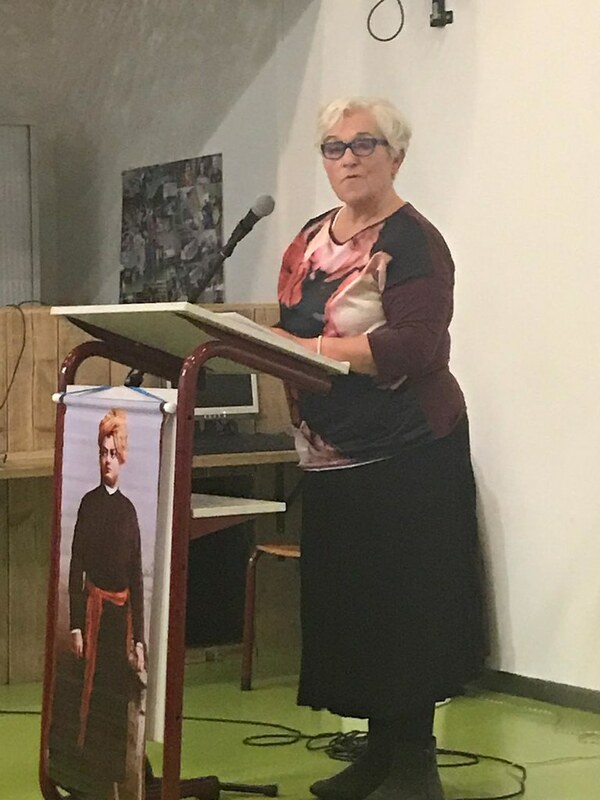 Mevrouw Mary Saaleman spoke a few words in Dutch and delivered the First address in Dutch. 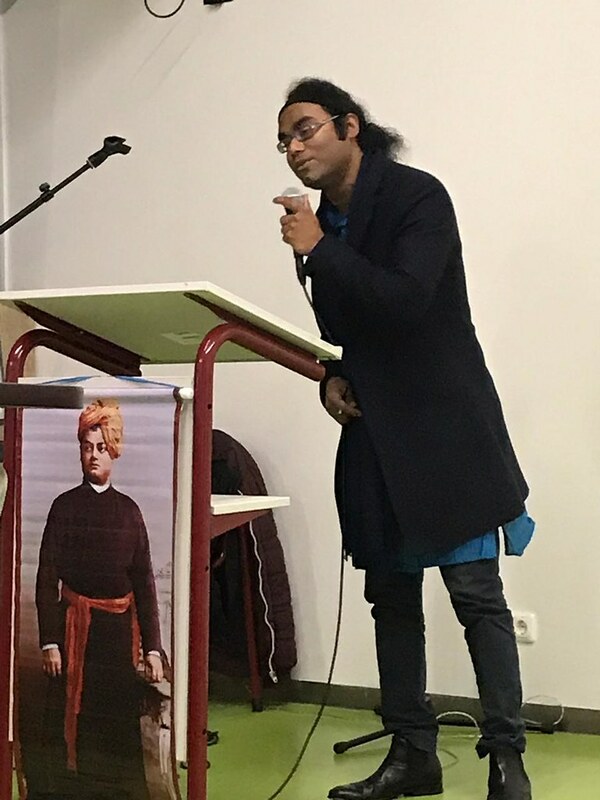 Sri Soerdjan Chander gave an excellent synopsis and bird’s-eye view of Swami Vivekananda’s “Paper on Hinduism” in Dutch. 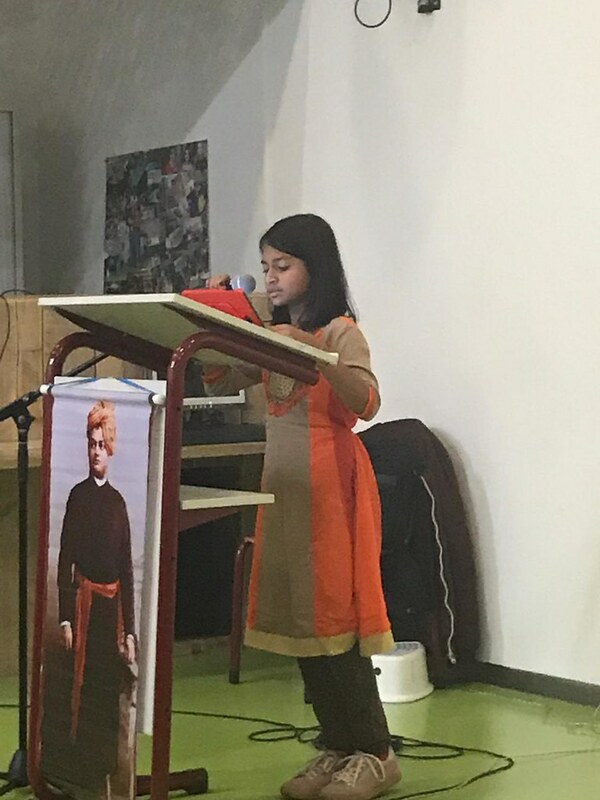 A class six student from Groningen, Paridhi Parikh, brought life to Swami Vivekananda’s story of the Frog in the Well. 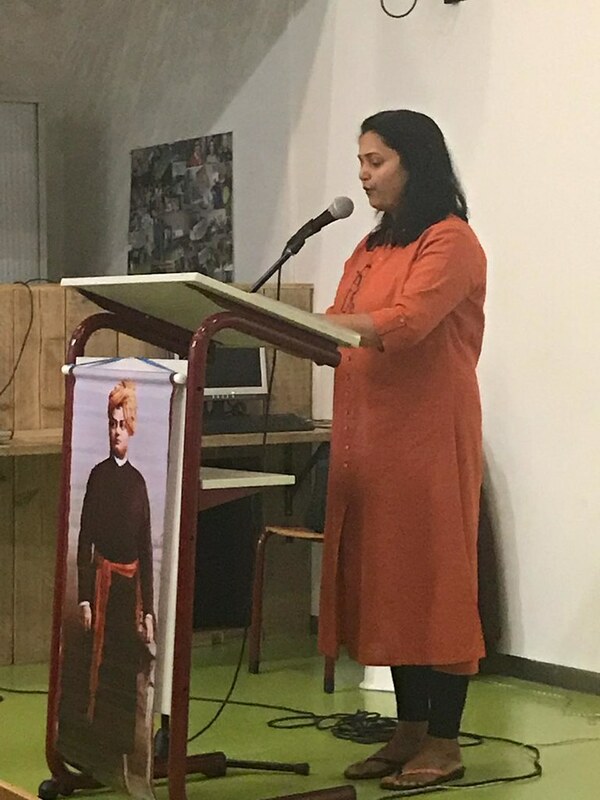 Smt Sweta Singh, an Engineering College Lecture in Groningen at present, delivered Swami Vivekananda’s talk on Buddhism in an excellent manner. 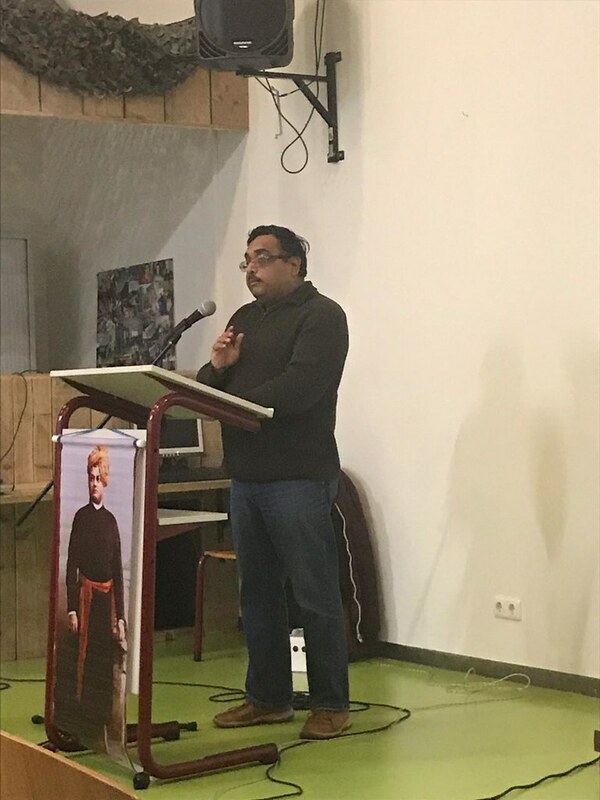 Professor Prashant Sharma, professor at the UMGC Hospital (Proton Therapy Cancer centre) of Groningen gave an excellent talk about the effects of Swami Vivekananda’s thought and teachings. 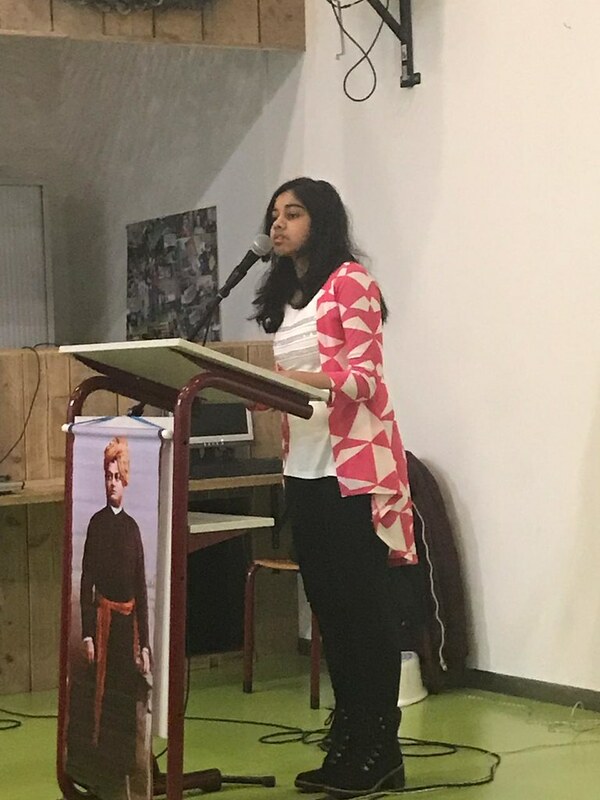 Finally, Kumari Ahona Saha, a school student, rendering in a maginificant way, the last talk by Swami Vivekananda at the Parliament.There was a session break with fruit juice served to everyone. 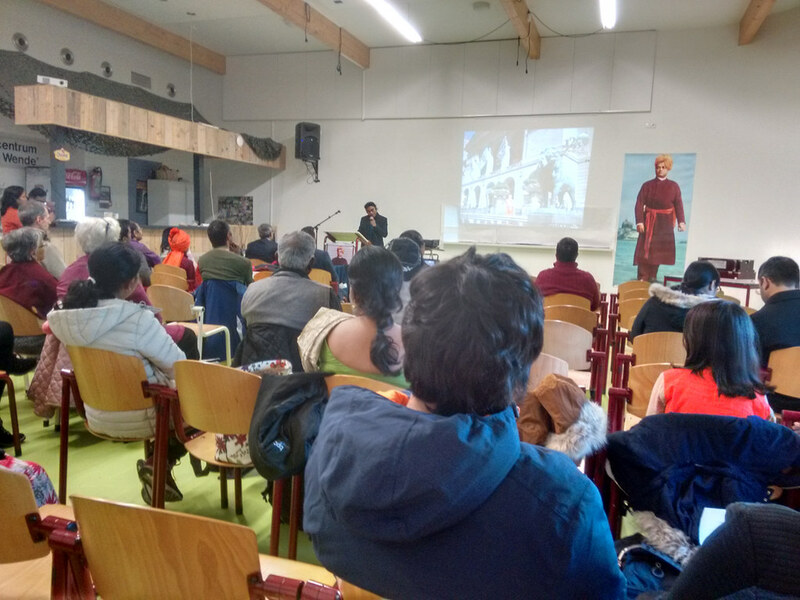 The third and final session was the cultural session. Smt Eshita Mitra Saha and Sri Chittabrata Saha enthralled the audience with melodious bhajans and Rabindra Sangeet. They were assisted by Debjyoti Basu, who read out the significance of each song in English. Deepak came all the way from Rotterdam to accompany all the singers with his excellent tabla. The last part of the cultural session was devotional music by Smt Prajna Bhattacharya. She gave a wonderful and memorable performance, again accompanied by Deepak. 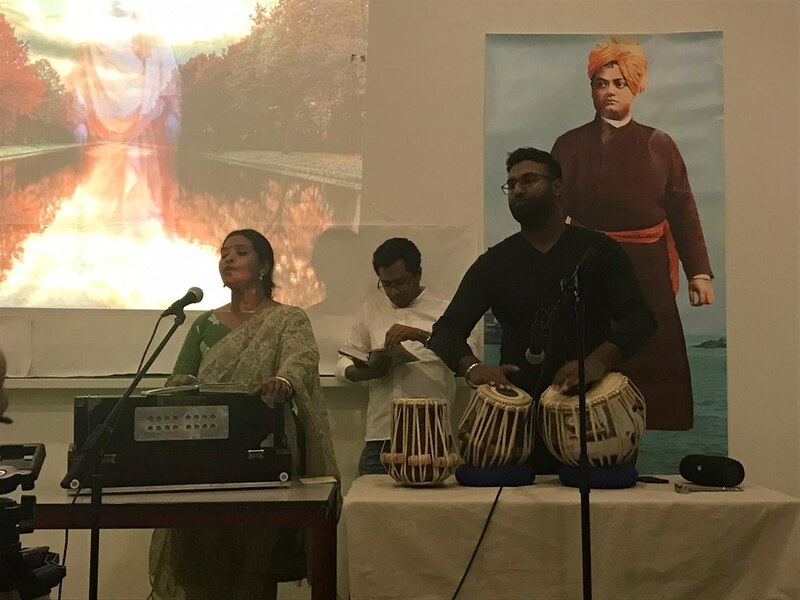 Smt Pariksha Ramharakh read out the significance of each song. 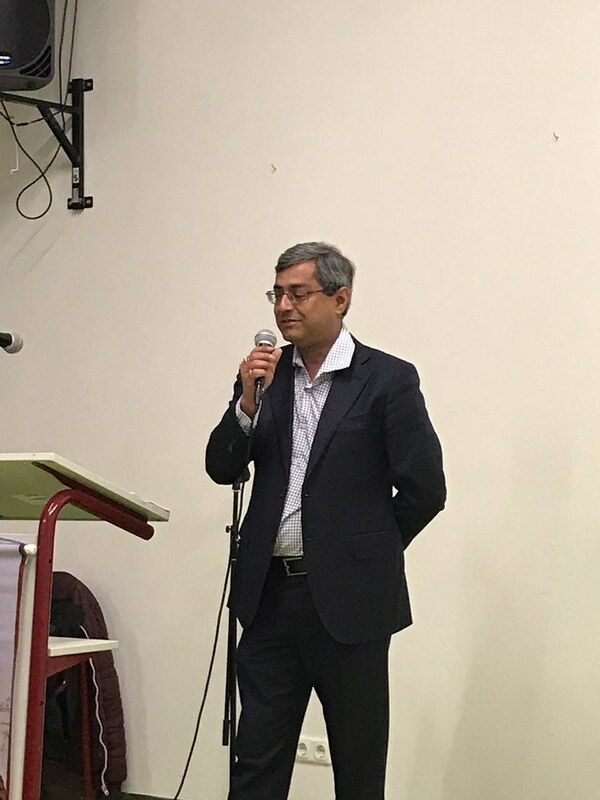 Kaustubh Bhat delivered the vote of thanks. Everyone was served with snack packets and fruits. The fourth and last event shall be held in Eindhoven city in January. Sri Partha Bhattacharya was the anchor of the entire event and he did it in an excellent manner.